← 18 THiNGs bOOk bomb!!! Sounds like fun. I’m in! I would like to advertise your blogfest on the CQ blog and social media. Is that okay with you? 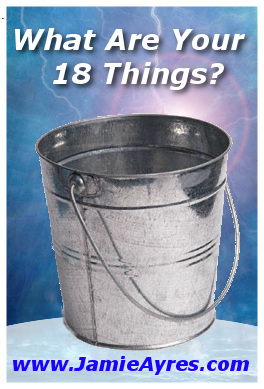 I have a bucket list and shall do my 18 things this week! Cool . . . you’re one step ahead! I’ll admit I never wrote one for myself until I wrote my novel! Oh, I know yours will be fun! Awesome! I’d L*O*V*E to get together . . . just email me or FB me. I practically live at Starbucks! I think so . . . can’t wait to see everyone’s ideas! Those are some amazing prizes! Will plug the fest for you in my post tomorrow. Oh wow, thanks a million, Alex!!! I’ll participate via FB and Pinterest. I know whatever it is, it’s sure to entertain:-) Although you already took down a tree, so how are you gonna top that?! Sounds like a blast, better start thinking of a bucket list! Oo, what a clever tie-in! 🙂 I can’t believe your release is so close now! I know!! It seemed like it took so long as I was waiting, but now it’s like, oh crap . . . I have my debut novel coming out next week–ahhh! Hi Jamie! I just learned about your upcoming release through Alex’s site, congratulations!! And what a great idea for a giveaway. I’ll have to start thinking of my list. Great to meet you! Wow! I’m over my head with blogfests . ..but this is too awesome to pass up, and not because of the amazing prizes, but because I want to celebrate your book, and I love bucket lists. I’m SO excited for you, Jamie! Crossing my fingers, toes and nose hairs! Wishing you BIG success! THank you SOOO much! I’ll see you on Feb. 8th!! This sounds like a TON OF FUN!!!!! Looking forward to reading everyone’s list! Ooh, glad I popped over in time to see this. Count me in! Those are a lot of awesome prizes! I can’t imagine the kind of networking that’s needed to put together so many different prizes from so many different writers. I think I’ll be able to post my bucket list on Tuesday. A lot of networking for sure, but I love every minute of it! Otherwise, I wouldn’t ‘meet’ fantastic people like you! Thanks! “Cool” is my middle name, just ask my 12yo daughter;-) Well, at least that comment made her laugh instead of trying to melt me with her laser eyes for once! Sounds like a fun Blogfest! I just signed up! Thanks for participating, Stephen!! I was starting to worry I would have more prizes than people, lol! This might be just the thing to nudge my poor blog out of its winter hibernation. And there are prizes too! Awesome. Great, Kirsten!!! I’ve missed your blog! what an awesome hop! and fabulous prizes! wish i’d seen it sooner! Yes! I’m a lucky girl with so many nice friends:-) And it’s not too late–you can post any day up until release day–Thurs, January 24th! This does sound like a fun list to make. Striking cover–pun intended and not intended. Good luck with the book! Thanks for finding me too. I’ve been thinking about a bucket list for awhile, I guess it’s time I actually made that list. I create lists for everything else, wonder why I’ve put this one off? Congratulations on your book release, have fun with it! All I want to win is a copy of your book! Aw! Your comment made my day–thanks for saying that:-) I honestly didn’t write one for myself until I thought of this book idea! Can’t wait to read your list!! Sounds like fun! I love the bucket list theme. I’ll definitely help tweet or throw something up on my blog next week! Cool . . . thanks so much, Alexia!! I am totally going to do this tomorrow. I’m really excited about your book release! Oh, I hope you do, Emily!!! And I’m looking forward to reading yours tomorrow, Shell! Woohoo!!! So many cool prizes, which one to choose? Here is my 18 Things pinterest board: http://pinterest.com/ajbradley74/18-things-bucket-list/ This was so fun, what a great idea! This is a really fantastic idea for a contest, I’ve just put my bucket list up on my new blog and i’ll be intrigued to read the book when it’s out. Will it be coming out on Ebook as well as in print? Thank you! I enjoyed your post today! You are a globetrotter, PK!! Sounds like a great blog fest! Hope you all have fun. Thanks so much for stopping by my blog and commenting the other day. It’s great to meet you. 🙂 Have a good week! thanks for the excuse to think up my list. good luck with your book release. congrats. I don’t have a blog so I’ll have to tell you one of my big bucket list items here…get out of debt!!!! I love this idea for book promo! You know I don’t have a bucket list that I know of.Maybe I do, I mean I must we all have things. I’m gonna think on this one. And I LOVE your book cover. This is a really nice bloghop! I’ve enjoyed reading the lists around the blogosphere. Thanks, Sherry! It’s been so much fun, I’m sad to see it come to an end tomorrow:-( Maybe I should add go for a world record for longest blogfest to my own 18 Things list! Great Blog! Thanks for picking me for my Mud Run as one of my 18 things. It was an a bucket list item that I won’t soon forget. I’d love my price to be the *An 18 page document on Inspirational Tips and Advice for Creative Writing by Taylnn (A.K.A. Ink in the Book)” Hopefully it will inspire me with my writing. Will be downloading “18 Things” tomorrow! Bummer, I missed the blogfest! Best of luck with your blog tour and book release! I only found out about it yesterday, but I thought we could still post on the 24th. Oh well. Great! Kirsten, please email me your query and I’ll pass it along to Nancy. Morgan,please email me your address! Nicaragua, Belize and of course Mexico. Uchida writes extensively about the Issei, first-generation Japanese nationals living in the United States. 20 other people in a hostel you found online, only to find that your passport was stolen over night.